Mary Cisneros: Thank you so much, we loved every shot! You are awesome! Denise Vasquez: We absolutely love our photos! Thank you so much! With the exception of the Valentines (mini) shoot a while back, this was our first family session so these are really special for us. Thank you for beautifully capturing my little family. // Awww, we love them all! Can't wait to print them! And can't wait for the photoshoots to come! Thank you! Dawn Stewart: The pictures are adorable! Thank you! Stephanie Dooley: Thanks so much. I just looked at them all and they're such great pics. Thanks for your work!!! Thanks again!!!! Jessie Newton: Hi lady, thanks so much for the pictures, I'm in love with them! Giana Novelli: Thank you so much for driving down and meeting us yesterday! Excited to see the pics and look forward to seeing you again in the future! Mirela Balos: Brenda!!! I love you! You are amazing! You captured everything I imagined in the pics! Thank you! You are awesome! Sara Hale: Thanks Brenda! <3 As always, great job! Andrea Franklin: I can't stop laughing! They came out SO good, thank you! Seriously, my cheeks hurt from laughing so hard! // I was literally crying when Brenda sent these photos over to me because I was laughing so hard. Reason number 5,363 why I love her: She ALWAYS sees my vision and she is always up for it! Our first photo shoot with her was for Christmas two years ago, and I consider myself so fortunate to have met her. Andrea Villa: We saw the pictures and they are beautiful! Aditi Nag: Thanks Brenda! The pictures look great!!! Mayra Stevenson: Yay! Thank you!! We love them! Julia Grinblat: We got them! Thank you very much!!!!! Happy Holidays! Margie Veis: Love love love our photos! Don't know how I will pick my favorite? My heart melts at the pictures of my grandchildren, thank you!! Carolyn Veis: Thank you, Brenda, they're amazing!!!! // Such a fun photo shoot, thank you!!!! Priya Pillutla: Brenda, the pictures are wonderful! Thank you so much. It is truly a gift to us - we have never had photos taken and it's something that just wouldn't have happened otherwise. I love all the moments captured. Nicole DiCarlo: I love them!!! So excited to get some printed. Adva Kornblit: Pictures are amazing!!! Erica Bechtold: Already ordered my Christmas cards. Thank you! We got some great photos. Kristie Sherrill: Brenda, I absolutely love the photos. Thank you so much!! Marisela Padilla: Thank you so much for the amazing pictures! We love them all. Aldo Saucedo: Awesome!!!! Thank you soooooooo much! They look great!!!!! Happy 3rd Birthday, Josiah! Jackie Chavez: They look beautiful!! Thank you! Amanda Lenhart: I just saw the pictures, they are BEAUTIFUL!!!! Thank you so much!! // These are absolutely beautiful! I love them! Happy 2nd Birthday, Madelyn & Everleigh! Jenny Velasquez: Love love love them so much! Eli's on the Way! Lizet Sandoval: It was so nice to meet you. You're such a talented photographer! I know the pictures are going to be amazing! // Thank you so much Brenda, the pictures look beyond amazing!!! :) :) :) Happy 1st Birthday, Jaycob! Paula de la Riva: Thank you!!!! I love them! Jennifer Lopez: OMG! I seriously can't thank you enough! I love them! Thank you!!!! Sarah Fonseca: Omg they are so beautiful!!! Brenda you did amazing!!!! // Thanks to you they're off the charts cute!!! You really did an amazing job!!! :) Happy 4th of July! Mayra Villalobos: Thank you again for sooo much patience with our big ol' family. Everyone loved you and was very pleased with all the shots taken. We can't wait to see everything! Evelyn Giron: Thank you so much! I just saw them all and they look gorgeous!!!! // Awwww.... Thank you so much!!! Loved them all! :) Happy 3rd Birthday, Leilany! Melissa Johnson: @bmunozphotography you're the best and most patient baby photographer ever!! // I just went through all of them. Thank you sooooooo much!!!!!! I LOVE them all!!!!!!!! Brenda Carrillo: I just want to thank you so much for all the photos. I can't stop looking at all of Maya's smiles you captured. I absolutely loved them ALL. Thanks once again! Katie Balderas: Brenda is one of the sweetest people I've ever met. My husband hates taking pictures and even he is comfortable with her. She is an excellent communicator, flexible in time/location of the photoshoot, and is easy to feel comfortable around. She's very affordable and even gives you digital copies of your photos in an online gallery and then mails you a disc with all the photos. Maria Ortiz: Thank you, the pictures are wonderful! Happy 3rd Birthday, Michael! Maribel Vasquez: They came out beautiful!!! I fell in love all over again!! Thank you so much!! Happy 2nd Birthday, Jax! 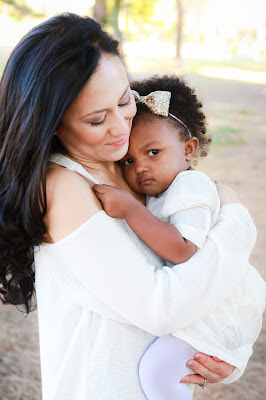 Andrea Franklin: I'm seriously dying over these pictures. You hit it out of the park lady, thank you SO much! Happy Spring! Tatiana Crane: They're soooo good! Happy 1st Birthday, Aneesa! Tara Paulis: Thank you so much, they are so beautiful. Alma Aguilar: OMG! They are so nice! You did an awesome job! Conie Zepeda: Thank you for your hard work. You always over-exceed our expectations. Dawn Stewart: Oh my gosh! There are so many good ones! How do we ever decide which one to use for a Christmas card?!?! :) Happy 1st Birthday, Eleni!e adorable! Thank you! Dawn Stewart: Oh my gosh! There are so many good ones! How do we ever decide which one to use for a Christmas card?!?! :) Happy 1st Birthday, Eleni!